Aquatic Invasive Species can irreversibly harm the Lake Tahoe watershed. Aquatic invasive species (AIS) pose a serious threat to the recreational and natural resources of the Lake Tahoe watershed. AIS compete with native species and can increase algae growth that contributes to the decline of Lake Tahoe’s famous water clarity. AIS often damage boats and gear by building up on rudders, hulls and paddles. The most serious threats to streams and lakes in the Lake Tahoe Region not currently present are zebra and quagga mussels, New Zealand mudsnails, and hydrilla. Each of these invaders is spread through the transport of water and/or debris that can collect in cockpits and hatches, cling to outer hulls, rudders, and paddles, and even hide out on your gear. Once AIS are introduced and establish a local population, they are extremely costly to control and often impossible to eradicate. For example, the Lake Mead community spends over $20 million a year to combat their quagga mussel infestation. For these reasons, the prevention of new AIS infestations is more effective and more economical than the control or eradication of an existing infestation. 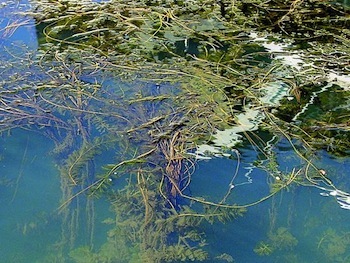 Unfortunately, non-native Eurasian watermilfoil and curlyleaf pondweed exist in Lake Tahoe and several of its tributary streams. We need your help to ensure these non-native weeds are not transferred from Lake Tahoe into Fallen Leaf Lake. Echo Lake, Spooner Lake or our regional streams. Invasive aquatic plants threaten the abundant recreational opportunities and natural wonders Lake Tahoe offers. Aquatic weeds grow unchecked to produce thick mats in near shore areas that alter ecosystems and damage Lake Tahoe’s famous clarity. Thick aquatic plant growth hinders navigation and can tangle on rudders, hulls and paddles. This thick aquatic vegetation also provides an unnatural habitat that allows other non-native species to establish. Asian Clams are a species of freshwater clam originating from the Asian continent. They are filter feeders that feed primarily on algae from the sandy bottom of water bodies. Asian clams are linked to the destruction of local clam species, algae blooms and their shells litter the shores of lakes in which they inhabit. First found in the waters of Lake Tahoe in 2002, populations of Asian Clams have rapidly expanded since 2008. 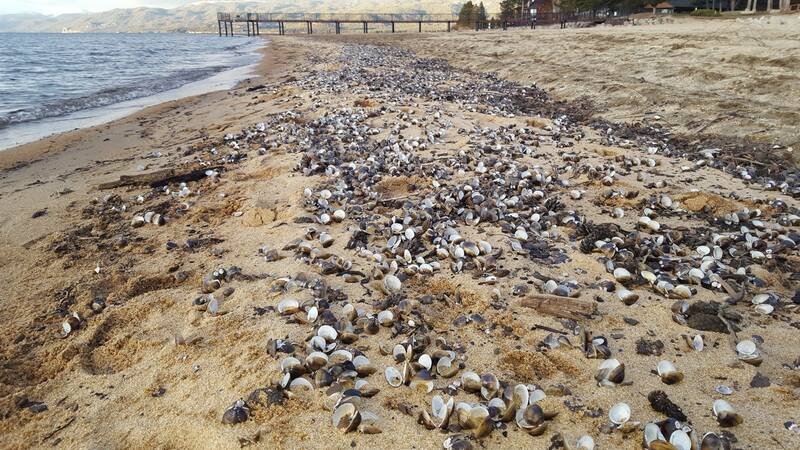 Populations of Asian Clams are concentrated along the south shore of Lake Tahoe. Current control methods include using suppression mats to block dissolved oxygen and food from reaching the clams under the lake bottom. 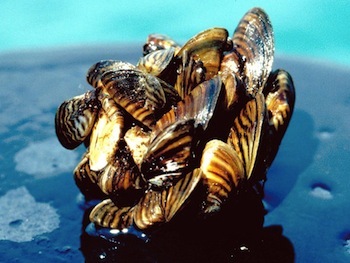 Zebra and quagga mussels are spreading rapidly throughout the United States. These species travel between counties and states by attaching to watercraft and gear, which are then transported great distances by car, truck or trailer. Adult mussels cause significant damage to water utilities, recreational facilities and watercraft where they use a cement-like adhesive to attach and accumulate in catastrophic densities. The adults and juvenile mussels will attach to non-motorized watercraft stored in contaminated water, and their microscopic young (or veligers) can survive the journey between waterbodies if there is sufficient standing water throughout the trip. 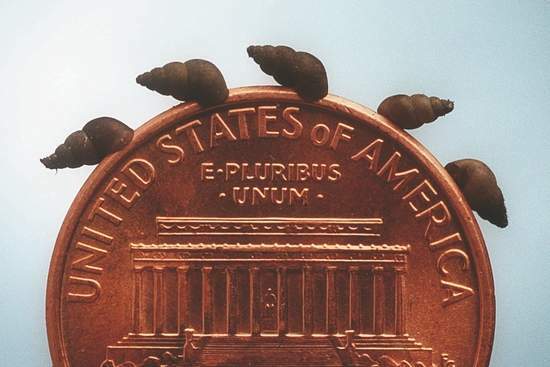 New Zealand mudsnails have been detected in several California and Nevada waterways, including the nearby American River, Sacramento/San Joaquin River Delta, and the Truckee River in Reno. This animal is most often transported via clumps of mud stuck to boots, watercraft, or other gear that comes in contact with the water. Simply cleaning gear thoroughly and inspecting for mud or debris at the haul-out site can greatly reduce the risk of transporting mudsnail. Careful inspections of watercraft and gear are an effective method for preventing the transport of AIS into Lake Tahoe’s pristine watershed. AIS can hide almost anywhere, and the adult zebra and quagga mussels can live up to 30 days out of water! Clean, Drain and Dry your watercraft and gear every time you haul our after use, and properly Dispose of any plants or debris you find. Click here to watch the training video. Clean non-motorized watercraft by inspecting your boat thoroughly and removing all dirt, plants and other material from your rudder, hull, cockpit and gear. If you are coming from a region with infested waterbodies or find AIS during your inspection, wash with pressurized hot water if available, away from any water source. Cleaning solutions such as bleach, 409 degreaser and vinegar can also be used to clean watercraft and effectively kill AIS; however, these solutions should never be used to clean watercraft on a beach or riverbank where the solution could inadvertently enter the waterbody. Drain the water from your hatches, cockpits, boards and gear on land before you leave the immediate area. Open all hatches or plugs, turn the boat upside down and rest on an open hatch to incline the watercraft and drain it. Dry your watercraft and gear, and store them in a dry place where aquatic invaders cannot survive. Inspect your watercraft and gear for moisture before launching. In cool environments, adult quagga mussel can survive out of water for as long as 30 days! New Zealand mudsnail can survive even longer if they are kept in a cool, moist location. Self-inspect and decontaminate your watercraft and gear every time you haul out and move between waterbodies. When leaving an area infested with AIS or if you find contaminants during your inspection, take special care and implement additional decontamination measures, such as a pressurized hot-water spray and/or keeping your watercraft completely dry for at least 5 days. Making the Clean, Drain and Dry technique a habit every time you haul out or move between waterbodies will take just a few extra minutes and can make all the difference in protecting your recreation experience. Non-motorized inspections and decontaminations are free at roadside watercraft inspection stations. If you paddle or boat within the Lake Tahoe basin, it is very important to inspect your watercraft and gear to ensure you are not inadvertently transporting Eurasian watermilfoil, curlyleaf pondweed or Asian clams. Although these species occur in several locations in Lake Tahoe, they have not yet invaded Fallen Leaf Lake, Echo Lake, Spooner Lake and other regional lakes. Many other small lakes and most of the streams in the Lake Tahoe Basin are free of invasive species and we would like to keep it that way. It only takes a few extra minutes to inspect and dispose of any weeds or clams before you move to a new body of water. Boats with ballast tanks please be aware of special techniques to prevent the spread of currently established AIS, such as Asian clams, into uninfested areas by checking out this article; Responsible Boating.